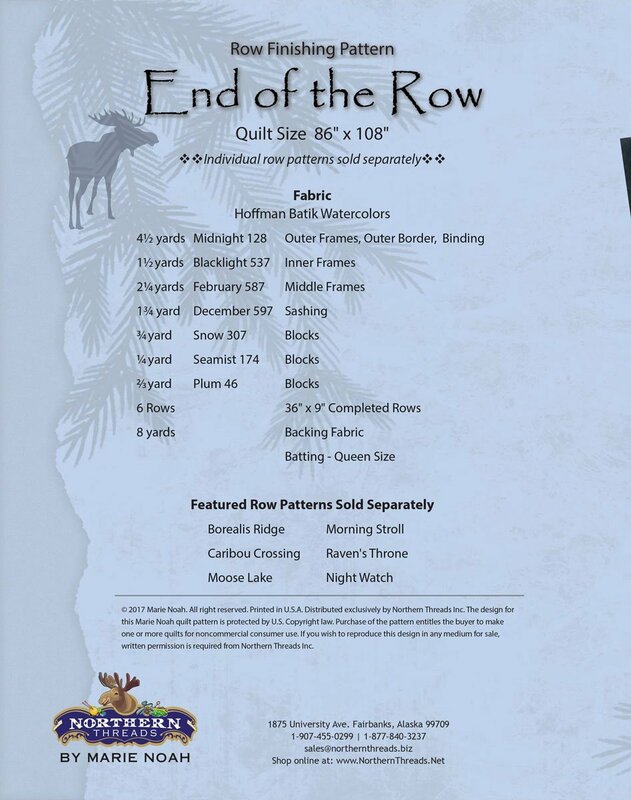 End of the Row is designed as a finishing pattern to work with any 36" x 9" row patterns. The row patterns featured on the cover quilt are not included with this pattern. You may purchase any combination of my row patterns, or use any others you have collected. Once you've assembled 6 rows, you are ready to begin "End of the Row".